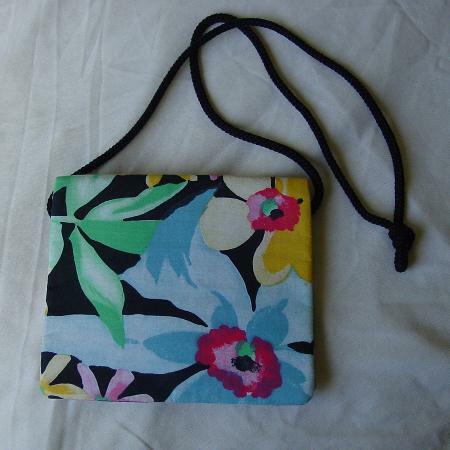 This vintage fabric purse has a black background with flowers in white, pale pink, pastel pink, sunshine yellow, coral, light and dark seafoam green, light and dark baby blue, and black. We thought it looks like a watercolor painting. 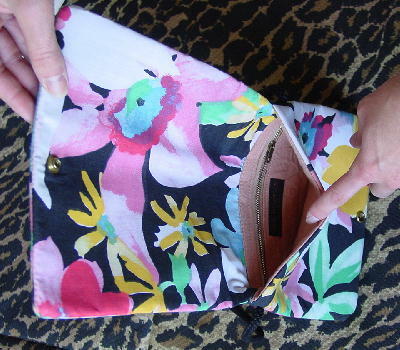 The interior lining is in a peachy-tan fabric. The lining looks like the purse was never used. There is some age discoloration at the back bottom right side in the white area. You have to look very closely to see it. 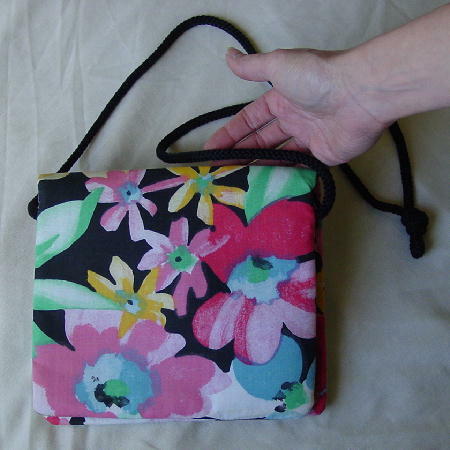 It has a full flap front with a snap closure and a black 50" long cord shoulder strap. It was from a Miami model. She swiped it from her older sister (also a model). We're not sure of the purse's exact age.